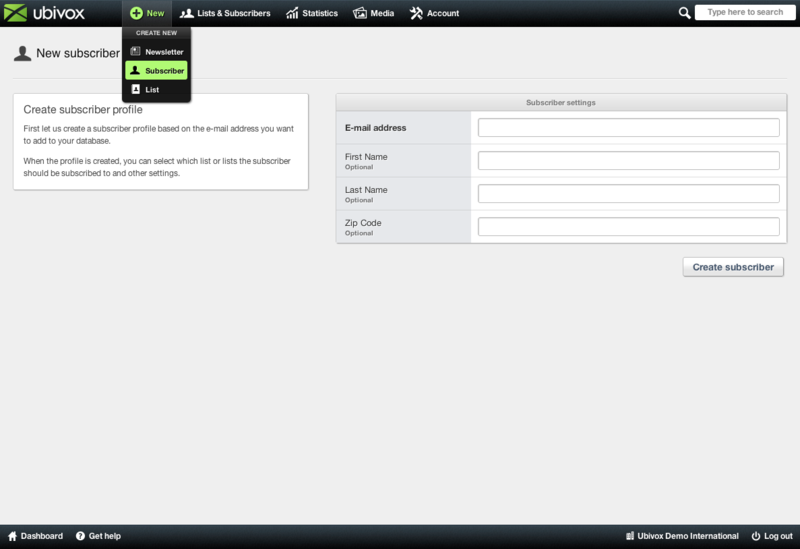 Fill out the e-mail-address as a minimum, the rest of the fields are defined through data fields. 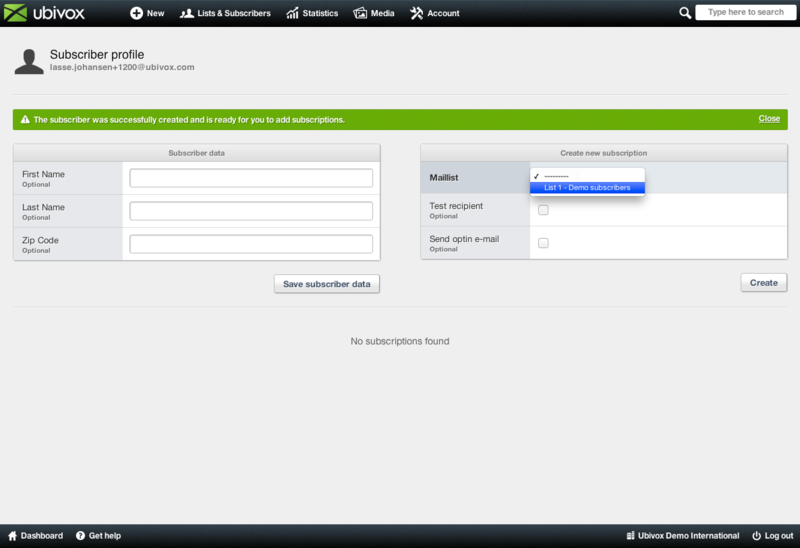 You then submit the subscriber profile, and choose what list, the subscriber should be on. Furthermore it is possible to choose whether the subscriber should figure in the test-delivery group on the list, being a colleague, the boss, or if you have other e-mail adresses, for instance a Hotmail or Gmail you would like to add. The e-mail address is now added to the list. We do not recommend sending an opt-in mail when entering subscribers manually, since it is expected that you already have permission to send e-mails to this address. 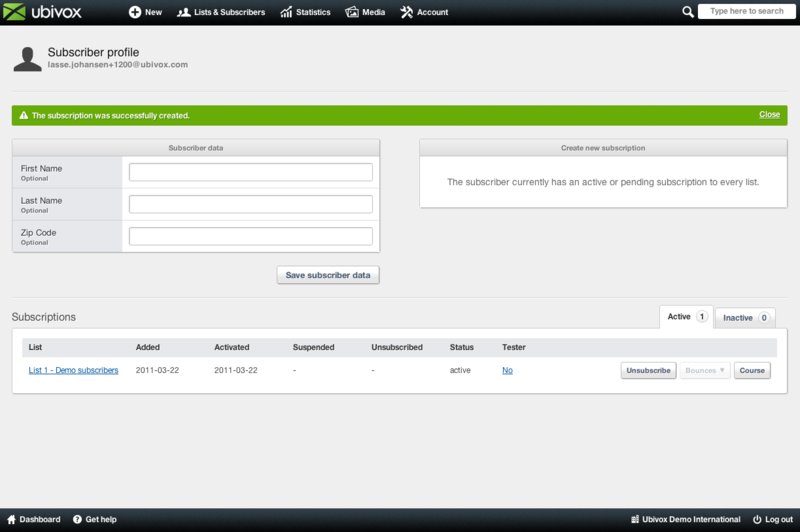 If you wish to find information about a specific subscriber later on, you can use the search field located in the top right corner of the system.